Licensed to offer sales tax bonds across the U.S.
A sales tax bond is a type of financial guarantee bond. 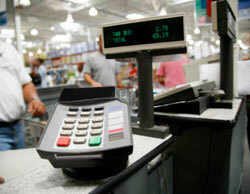 It serves as a security that a business will cover all relevant sales taxes due to local or state governments. The bond is also an extra layer of guarantee that companies will file their tax information by applicable state deadlines. The most common sales tax bonds include alcohol bonds, cigarette tax bonds, and fuel tax bonds. Depending on the types of products you sell, your business might have to obtain one or a few of them. In some cases, only a general sales tax bond is needed. Similarly to other surety bonds, sales tax bonds are a three-party contractual agreement. The principal is the entity required to post the bond, which is your business. The obligee is your local or state authority that asks for the bond. The surety is the bond provider that guarantees for your business. Sales tax bonds are used to protect the obligee, in case your business does not pay due taxes. They offer financial compensation in such cases, as bond claims can be made against you. If you’re ready to start your bonding process, you can apply online today for a free sales tax bond quote. Are there different types of sales tax bonds? Can I get a sales tax bond with bad credit? How do I get my sales tax bond? A variety of businesses across the U.S. are required to obtain a sales tax bond in order to operate legally. It’s up to your local and state governments to set the exact cases when bonds are required, as well as the bond amount. Typically, you would need a sales tax surety bond if you are selling– or in some cases producing and storing– alcohol, cigarettes and tobacco products, marijuana, and fuel. General sales tax bonds are also required in some cases. In different states, you might encounter the bond named in various ways. For example, in California it’s called a “bond of seller,” while in Texas, you’d see it as “continuous bond of seller.” All of these bonds are sales tax bonds, and their purpose is to guarantee your due payment of taxes on sales you make. Depending on the type of business you are running, you might have to obtain different types of sales tax bonds. The most common types include cigarette tax bonds, alcohol bonds, medical marijuana bonds, and fuel tax bonds. As their name suggests, cigarette tax bonds are required when you sell cigarette and tobacco products. They ensure you will pay taxes on your sales. Alcohol bonds are needed if you are involved in selling, producing or warehousing alcohol. They guarantee you will pay due taxes on all transactions with liquor. In some states, you will have to obtain a marijuana bond in order to run a dispensary for medical or recreational marijuana. It also serves the function of ensuring you will pay taxes on marijuana sales. Fuel tax bonds are another common type of sales tax bonds. Fuel sellers are required to post them, so that there is additional guarantee that they will pay taxes on the mixing, distribution and sale of fuel. The sales tax bond amount that you need to post in your particular case will depend on state regulations in your area. Across the U.S., different bonds have diverse amount requirements set by the appropriate agencies that regulate different trades. In most states, your sales tax bond amount depends on an estimate of your yearly sales tax liability, or on your sales receipts. In some cases, the bond is based on the monthly sales tax you need to pay. Before you start your bonding process, it’s best to consult with the government authority that asks for a sales tax bond. Often you will also be able to assess your sales tax bond amount with the help of calculators that these institutions have created. Your actual surety bond cost is only a fraction of the bond amount that you need to post. This is called the bond premium. This percentage is set after your surety examines your business and personal finances, such as your personal credit score and business stats. The better your financial situation is, the smaller your bond premium will be. If you qualify for the standard bonding market with a credit score above 650, you can expect that your sales tax bond premium will be somewhere between 1% to 5% of the amount that you’re required to post. When obtaining most types of financial guarantee bonds, you may need to post collateral to compensate for financial risks. Luckily, with sales tax bonds, this is not the case. That’s why getting your sales tax bond is possible. Still, sales tax bonds remain a high-risk bond type. Bad credit bonding rates typically start at around 5% of the bond amount, but can at times be as high as 15-20%. The greater percentage accounts for the bigger risk that a surety takes in getting you bonded. Lance Surety Bonds forges strong partnerships with a number of A-rated, T-listed surety bond companies. This allows us to choose the best bonding option for your circumstances, even with bad credit. Getting your sales tax bond is a straightforward process. You can apply online today for a free, no-obligations quote. When you have submitted your full application, we will calculate your exact bond price. Whatever questions you might have about obtaining your sales tax bond, don’t hesitate to call us today at (877) 514-5146. We are happy to assist you at any point of your bonding process. For full information on bonding, you can consult our How to Get Bonded page.